The whole idea of traveling provides a chill of excitement, a burst of happiness, and a thrill of energy. Traveling abroad is an excellent way to get yourself some “me time,” and is a great escape from the day-to-day pressures of your life. Traveling has always been one of the best ways to improve yourself. Planning a trip fills you with a sense of enthusiasm, relief, happiness, and joy. It is a highly efficient means to get away from stress. Moreover, it is a wonderful way to explore yourself and the world. As long as you have a pair of shoes and a passport with you, you can make use of the many types of adventures available at your fingertips. In just an instant, you can go wherever your heart leads you. Though traveling is costly and there are many risks along the way, it will help you grow and develop into a better person. So…no matter how many “what-ifs,” risks, and fears you can think of, it is time to pack up, put your best clothes on, go outside of your comfort zone, and see the wonders that life has to offer. It has always been a source of excitement and fun to take unexpected trips to uncharted and undiscovered places. If you are looking for an adventure, then you need to thrust yourself outside your comfort zone. 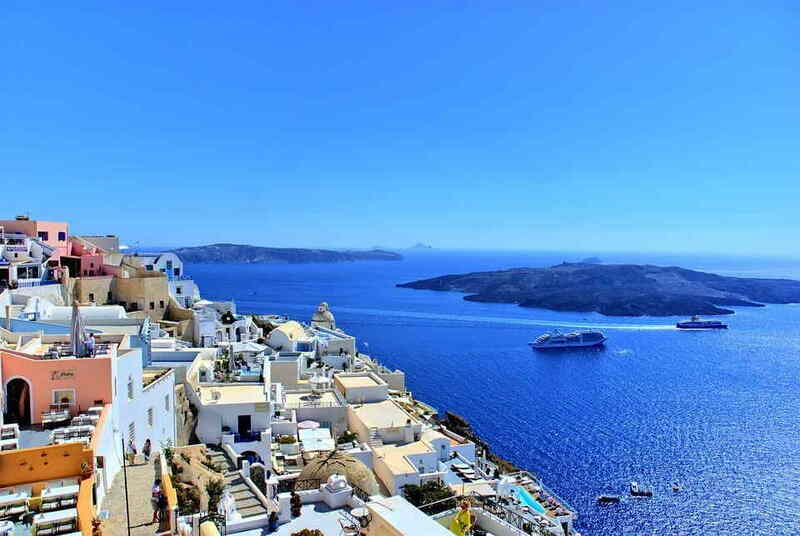 You can visit different places, see the breathtaking sights, hit historical museums and ancient places, climb the nearest mountain, and feel the breeze on the beach. You just need to let yourself go with the flow, feel every inch of it, and don’t overthink all the potential drawbacks. At the end of the day, when you look back on the amazing things that happened, you’ll feel more alive than ever. There may be different risks or perilous events that can cause an accident on your part. However, if you are willing and open to things, traveling will make you an incredibly well-rounded person. With the many things you can experience in the process, a wholesome change can unfold in you as you spend time traveling to more and more places. The more you discover, experience, and see various places, the more you realize how small you are, how big the world is, and how much it has to offer. With that in mind, you start to focus on what matters most and stop being disappointed by the little things. Nevertheless, the most important part is that travel experiences will surely pull you out of your comfort zone. Even without the numerous activities during the trip, going by yourself is adventurous enough. During your journey, there are many uncertain times where you might want to change your plans or make quick decisions. Because of this, travel will test and help you engage your analytical and problem-solving skills, resulting in a more independent and resilient you. You feel secure and safe in your comfort zone, so much so that you become stagnant and resistant to change. So, the idea of breaking out of it may seem scary at times. This is even more reason to do it! Traveling is one of the many ways for you to learn and grow up. Since it is highly possible to encounter uncomfortable and unfamiliar situations, you get the chance to understand and learn how to cope. Being in a new place with different people, who have diverse cultures, traditions, values, and languages, strips all the familiarity away. Yes, it can be a little bit scary, but once you figure out your way to connect with people despite the many differences, you can eventually navigate smoothly on different foreign environments. Also, you can become wiser and smarter in every decision you make. Meeting people from different walks of life and living in various socioeconomic, cultural, and religious settings can lead to encountering a lot of realizations about life. Moreover, you will find the means to know and understand yourself better than ever. Also, seeing different people who need help and support might evoke a sense of compassion and warmth within you. It can help you become more motivated to question yourself, your purpose, and life’s meaning. Travel can also be a way to look at the bright side and realize your blessings, thus increasing your experience of gratitude and satisfaction, which invokes a positive attitude with the highest frequency of positive emotion. Traveling or moving abroad allows you to meet people, make new friends, and expand your connections. You can become the person you want to be. You will gain a new perspective and way of seeing things when you travel abroad. Also, you will be able to see things differently. While you will inevitably miss your friends and family when you go abroad, you will be busy creating new memories and experiences. Totally into work, drowned with unfathomable stress and pressure, and too tired to continue, traveling will tune your tired body, mind, and soul. Traveling provides you with that much-needed time for yourself to relax and unwind. With the fresh air and warm sunshine, it will increase the oxygen in your blood, give you more energy, and ward off stress, depression, and anxiety. A short trip can also increase and improve your performance at work because it recharges you. Moreover, it gives off numerous physiological and psychological benefits that you need. Even with a short trip or vacation, your body gets enough space and time to replenish its energy reserves. So when the time comes to go back to your daily activities, you feel energized, enthusiastic, and ready to address issues in a new and fresh way. There are so many things you can learn when you travel abroad. Visiting new places and interacting with various people creates a pathway for knowing and understanding new perspectives, behaviors, thought patterns, attitudes, values, etc. Moreover, it helps widen your mental horizon and makes you more receptive, accepting, and open-minded with different things. Besides that, it provides you with enough resources to learn different cultures, traditions, and languages. You can also learn many new things from people belonging to different nationalities and religions. You cannot compare anything to the feeling of establishing new friendships and connections across borders. It sets you at ease to travel again to a particular country and know someone there who you can look forward to visiting again. Furthermore, you get the opportunity to learn a new language or to speak it authentically and genuinely. You get to interact more and live among native speakers and use that language on a day-to-day basis. Once you get accustomed to that, it becomes easier for you to interact with the locals. Traveling abroad takes you to a whole new interpersonal level that you can’t imagine unless you do it. You cannot compare the genuine, wholesome, and life-changing experiences you get from it with the fun, enjoyment, joy, and happiness you can equally feel. Because of the many surprising things the world has to offer, it becomes more worth it to travel. You can encounter many people with different cultures, values, and socioeconomic backgrounds. It becomes an opportunity for you to grow, know, learn, and understand yourself fully and genuinely. You can experience all these exciting activities and exhilarating views when you travel abroad. Remember, traveling is not about the destination, but the journey. Tabitha Geller is a writer from Dallas who currently resides in Maryland. She loves to travel around and discover new things on her own. Tabitha is also a fan of reading, writing, and education. Moreover, she is up-to-date with current news about law, technology, and medicine. She is also interested in learning new things and sharing her knowledge with her readers.